My daughter was born & raised in Delhi. She is a smart and confident girl. Currently working in Gurgaon with an Advertising firm. She is a happy person, and enjoys & respects every little thing that life offers. She has a good sense of humor, respects elders, and is spiritual in nature. In her own words- Positive attitude and a good company always keeps me going. I like to have a positive approach towards life, & overcoming obstacles is what I believe in. I am a foodie, like to cook and try new dishes- prefer healthy food, but indulgence is not bad either :). Being a trained Indian classical and western dancer, I love to dance my heart out. Love watching documentaries, music, nature, photography, traveling, exploring new places, cultures, cuisines and sports (guess that's in our genes!) I'd love to be involved in social development work & help the needy in future. \r\nWe are looking for a groom and family who appreciates and supports her in life ahead. Also who treat her like their own daughter, than a daughter-in-law. She is full of love and life, and lights up any dull room. Thank you for visiting her profile, wish you all the best. About her Family: Settled in Delhi for almost 4 decades, both Parents are retired (Father from Defence & Mother from Central Govt). 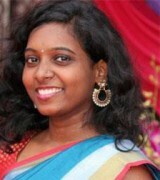 Elder daughter married in a Gujarati family, and well settled in Mumbai. We are a happy, small, cosmopolitan family. And we're looking for an alliance from cosmopolitan locales. Schooling- Air Force School , Graduation- Delhi University , Post Grad.- MBA , Currently working with a reputed Advertising firm.!!!#!!! I am a Fun loving girl . Always love to leave life to the Fullest. \r\nTakes all Challenge with positive attitude. Basically i m a happy go lucky person. A very responsible ,caring and understanding person.!!!#!!! I have complete M.B.A , Studied at Hyderabad. Now I am not working and looking for Job. I am simple & active women. I am Issueless Divorcee. Looking for a good person. !!!#!!! A sincere hardworking girl with family values. hobbies include cooking, travelling, swimming and reading, Father serving naval officer Commodore, posted in Goa , Sister pursuing MS in computer science, B.Tech Mechanical and Energy Engg from Vellore Institute of Technology Vellore , Worked with Cummins for 2 years in Pune \r\nDid MBA(HR) from Symbiosis Pune. Working as Senior Analyst (Talent) Delloite. !!!#!!! My sister is a simple, kindhearted, intelligent girl. She and our family has good values. She has BE. in Electronics & Communications from CBIT and has working experience from reputed IT organizations. 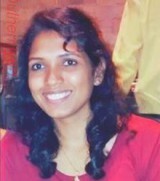 Currently, she is working as a Project Leader, QA at Oracle, hyderabad since 5yrs. My father is a retired professional from ECIL and mother is a homemaker. We are looking for a decently qualified, caring and loving life partner for her. Father is retired after serving ECIL for around 30 yrs. Mother is a housewife. 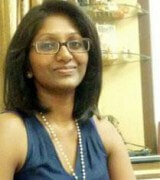 2 sisters- Elder one is married and is working in United States. Brother-in-law is also working in United States. Youngest sister is also working in an IT organization in Hyderabad. Everyone from mother's and father's side are well educated and well settled and have good family values. 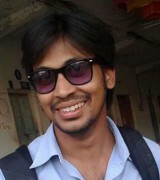 BE in Electronics & Communications from CBIT\r\nShe is working for Oracle in Hyderabad, India.!!!#!!! She has Done Gradutation in I.T. from Mumbai University and MCA from Sikkim Manipal University distance education. 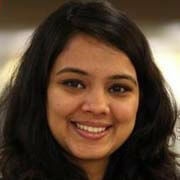 She is working with an MNC Software company as Team Lead since last 7 years and doing pretty well in her career. She is a simple and intellectual girl, whose friendly, enthusiastic and very caring at the same time. Apart from that she believes in simple living and high thinking. She is quite modern in her thoughts but respects cultural values at the same time. We are a close knit family of six and we believe in family values. Mom, Dad, elder brother (married), myself and younger brother. We are very liberal people, understanding and supportive by nature. We are looking out for a boy who is family oriented, well settled in his career and preferably from Mumbai. !!!#!!! I have 4 younger sisters, 2 sisters got married, my mother is a aunganwadi teacher and father is labour. thanks for giving valuable time to view this profile. this is the profile creating for my brother after consulting with my parents. He is careing & humble . We are looking for pleasant girl for my brother . Hello myself Shiva. I have done M.A. I am working in central govt. Earning 2 LPA.I belong to Andhra Pradesh. I am very handsome, caring, responsible boy. 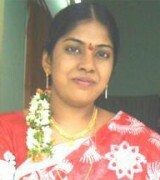 I am looking sincere and traditional girl near Andhra Pradesh match. 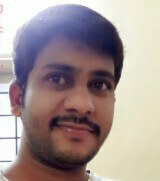 I am Rajesh from Anantapur. I have done B.Com, presently working as Manager. Earning 3 LPA. I am looking for suitable matches. 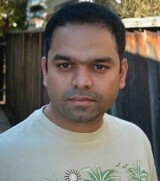 Hello, he is originally from Mumbai, currently live and work in Santa Clara, California. his interests include musical instruments, singing, photography, cooking, watching movies etc. he is urban in upbringing, open minded, patient by nature. Looking for someone with similar interests, who would complement what he has to share and he speak fluent English, Hindi and Telugu." \r\nBangalore, Bhayander, Chennai, Faridabad, Ghaziabad, Greater Noida, Gurgaon, Hyderabad/Secunderabad, Kolkata, Mumbai, Navi Mumbai, New Delhi, Noida, Pune/ Chinchwad, Sahibabad, Thane and Hindu: Brahmin Vaidiki, Hindu: Brahmin Smartha, Hindu: Brahmin, Hindu: Brahmin 6000 Niyogi girl. !!!#!!! 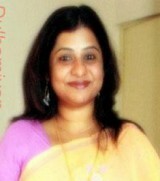 Hello, Myself Gowri Sankar. I have done MCA. I am searching job. I am co-operative, loving carrying, understanding intelligent person. I am looking a good looking slim, beautiful, girl for me. I am 26 years old, born in Andhra Pradesh & brought up in different parts of the state and I am currently working in Gurgaon. I like listening to music of different kinds, watching videos, spending time with family and friends.I am open to heart, honest, and humble and peace loving person. I don't have problem in shifting my job as per my partner's requirement. !!!&!!! Your Telugu matrimony profile search can now be as smooth and effective as you want. Our Telugu matrimony site offers you such an opportunity. Become a fortunate person in the aspect of Telugu Matrimonials just like every other couple, who were helped by our exclusive matchmaking process. Marriage is an occasion lasting for a short term but with long term promises. Your Telugu matrimony login to our web portal will readily take you ahead in this regard. Our site is authentically presented to the users and is full of only genuine profiles of the yet to-be Telugu brides and grooms.